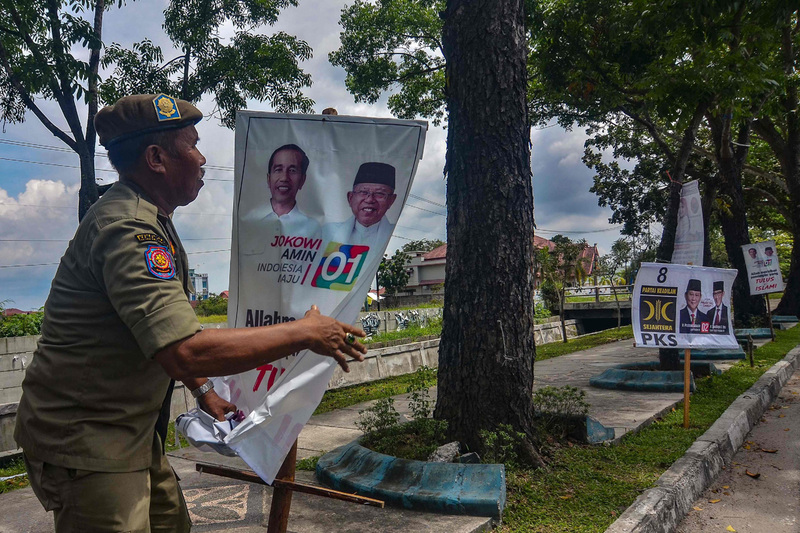 JAKARTA: Indonesia’s heavy metal-loving leader Joko Widodo faces off against ex-military general Prabowo Subianto in the race to lead the world’s third-biggest democracy tomorrow, a re-run of the 2014 election contest narrowly won by Widodo. But the father of three —popularly known as Jokowi — carries a mixed track record into the polls. He also ushered in or expanded popular health and social development schemes, including cash for the rural poor. But his rights record has come under scrutiny, with an uptick in discriminatory attacks on Indonesia’s small LGBT community during his tenure, and high-profile cases of intolerance directed at religious minority groups in the Muslim majority nation. But his ambitions have been dogged by ties to the Suharto family and a dark past — Subianto ordered the abduction of democracy activists in the dying days of the dictator’s rule in 1998 and has been accused of committing atrocities in East Timor. He was dismissed from the military over the kidnappings. Some commentators say that the overseas-educated 67-year-old believes he is destined to lead Indonesia. Others have questioned his hunger for the job, suggesting he is running to help his Gerindra party at the polls and to supply a platform for younger running mate Sandiaga Uno. Uno, a 49-year-old former financier who is reported to have spent about 100 million of his own fortune on the campaign, has been popular with millennials and housewives, possibly paving the way for a tilt at Indonesia’s top job in 2024.